The new year is a time filled with resolutions and goal setting, and no goal is more common than those of the fitness variety. After all, there is a reason gym’s experience an annual influx of new members at this time of year- it’s resolution season! Now, chances are that you, or someone you know, is considering making a fitness change in your life. 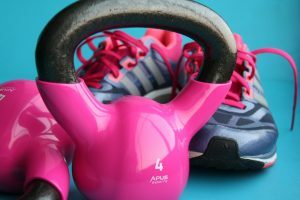 Before you rush out and sign up for a gym membership, be sure to consider your ultimate goals, fitness personality and preferred exercise style. If you truly want to succeed and make healthy changes this new year, don’t rush into your fitness journey with the masses. Take a moment to reflect and understand what will work best for you. To achieve your goal, self-reflection is the first step to success. Prior to starting any fitness plan, you should carefully review your strengths and weaknesses. This is not necessarily a physical check, rather it is a mental attitude check to determine which factors related to your goal tend to challenge you the most. The purpose of threat identification is to identify any variables that will compromise your success. This can include bad habits, like a history of being inconsistent with workouts, as well as types of exercises you know you dislike. 1. Can I motivate myself in a gym environment? 2. Do I need instructions, or do I have enough experience to work out on my own? 3. Would I be more consistent participating in a sport or group activity? 4. Is this something I can do from home, or am I more likely to stick with my plan if it is done outside the house? 5. Do I have a reliable friend to go to the gym with? 6. What type of physical activity appeals to me? 7. What type of activity do I dislike? 8. What time of day will work best with my schedule? 9. What is my ultimate goal? 10. How can I break that goal into smaller, manageable pieces? Some people have the ability to motivate their self to hit the gym regularly, others find it challenging without someone to crack the motivational whip. If you are one of those that struggle with consistency, consider teaming up with a friend to help motivate each other, invest in a personal trainer, or try a group activity. If you are new to the exercise scene or are recovering from an injury, consider choosing an option that provides more instruction. If you decide to join a gym, consider facilities that offer group fitness classes and personal training consultations. One on one consultations are beneficial to new members to avoid irritating old injuries or developing new ones. If a team environment is more appealing to you, look for sports or activities being taught at an introductory level. Many recreation centers offer intramural sports or leagues catering to different experience levels. If you have prior experience and are self-motivated, consider setting up a small space in your home where you can exercise. January is a great month to pick up exercise equipment, as this is the time of year workout gear goes on sale. Picking up some basic equipment like a set of weights, yoga mat, and a jump rope can go a long way. Equipment doesn’t have to be big to be effective, and some activities require little more than your body to see results. For experienced self-motivators who have little space or motivation at home, a well-equipped gym is probably preferred. If you get easily bored, look for a facility that offers more variety, as this will help keep you interested. Another option is to try a challenging activity, like martial arts or a competitive team sport. For those that prefer the comfort of home, but still need a little instruction, the digital age has you covered. It is more convenient than ever to stream exercise videos on your television, phone or laptop. There is no shortage of apps, channels, and programs that can be downloaded or streamed from the internet. With an abundance of body-based exercises, you don’t need to break the bank to tone up. If deciding the best method to achieve your goal is the first step for success, setting up a series of smaller, reasonable goals is the second. Most people start out with high expectations, set unrealistic goals, and expect to achieve them in a short period of time. Unrealistic expectations often lead to decreased morale and goal abandonment. To avoid this, it is beneficial to break your goal into smaller pieces that are more easily achieved. You should also consider the method you will use to measure your success. For instance, if your ultimate goal is to lose 10lbs, breaking this into smaller 2lb intervals over a set period of time will be more motivating. If you exceed your expectations, you will feel better about your long-term success. An alternate goal may be to drop a pant size or two; if this is the case, monitoring your body measurements would be more accurate in judging your progress. Always keep in mind that depending on your ultimate goal, the steps you take to get there will vary, carefully consider what will work best for you, and if needed, talk to a professional. Lastly, if you have any doubt about which options to choose, remember that most gyms offer trial memberships. Try before you buy! Whichever method you decide to use, remember to be consistent. Some people find it useful to schedule exercise time into their day, making preplanned appointments with themselves. Others prefer a bit more wiggle room and choose to set a general exercise rule. For instance, if you plan on working out 3 to 4 times a week, a possible rule would be to try to exercise every other day and never let more than two inactive days happen in a row. Happy 2018, and all the best with your new year goals!